Time to market is a critical factor in a product's success and profitability. Reducing the time required to develop your product, through advanced methods such as PERIDOT's rapid prototyping services, makes your business more profitable and produces that profit at a faster pace. In addition, rapid prototyping reduces the cost and time to produce tools and molds for your customers who demand customized or tailored components. This process delivers very excellent detail in a semi-flexible acrylate thermoplastic. 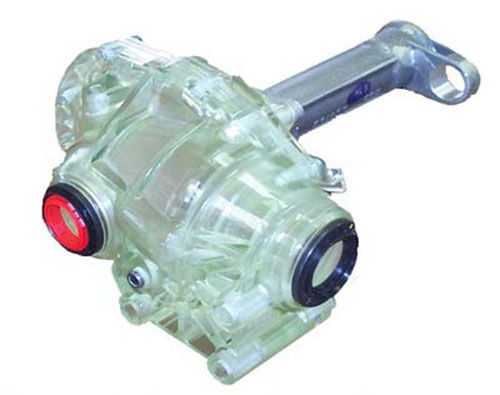 The Somos material provides a versitle model with ABS or PE characteristics. SLA is also desirable to use as a mold master, pattern material, or for verification. This produces a highly detailed rigid part utilizing the duraform nylon or duraform glass filled material with improved heat resistance. Depending on desired part performance, it is also well suited to producing sintered metal parts and inserts. This is a very stable prototype that is accurate at providing durable snap fits. It utilizes ABS plastic which can be finished and painted if desired. 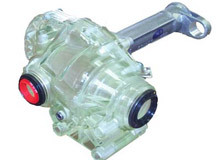 The process is well suited for functional and durable models. 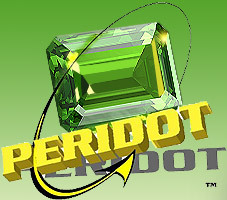 As a flexible engineering service bureau, PERIDOT offers unique customer service and new and creative ideas. We can also provide secondary operations on your RP model such as light machining, assembly or incorporating last minute design changes. This unique process uses the powdered metal process in a new way to sinter together fully dense metal parts using a 3D CAD model. Using various materials including low carbon steels, stainless steels, and other engineered alloys this technology is advantageous for low volume complex metal components. How Can Rapid Prototyping Benefit Me? Rapid prototyping services from PERIDOT allow easy, efficient evaluation of design, engineering, and manufacturing concepts.PERIDOT is a full service product development service bureau working for today's engineer to reduce the time of the development cycle without sacrificing product quality. We are a resource that provides the four major rapid prototyping (RP) technologies. We understand the unique advantages and drawbacks that each technology provides and it is our mission to provide you with a solution, not just a pretty model. We can provide RP models in various materials and finish levels to meet your application. We approach each project as a development partner with our customer and utilize our engineering background to meet your requirements. Contact us today to learn more about our clear SLA models, our translucent color tint process, and the amazing properties of our new BLUESTONE™ SLA material. As a flexible engineering service bureau, PERIDOT offers unique customer service and is open to new and creative ideas. We can provide secondary operations on your RP model such as light machining, assembly or incorporating last minute design changes. Feel free to call or e-mail us your CAD file for a quotation. See the "Inquiry Form" area for more information on getting pricing for your RP needs.